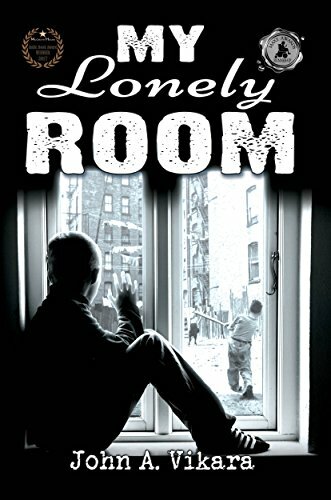 My Lonely Room is an emotional novel that tackles themes of belonging and loneliness. Why was this an important book for you to write? It reflected the era of my childhood and the struggles of a young life in a non-politically correct world. It was meant to show that indifference and bullying were going on long before the present, and that it was accepted as part of growing up. The challenge was to overcome these incidences of being singled out because of not having been taught how to engage with society. But the challenge was very hard to overcome when the difficulties of a weak foundation are the starting point. I also wanted to highlight the era and the lower middle class urban youth of the time, rather than the television versions such as Father Knows Best and Leave it To Beaver depicting more affluent characters who really didn’t have any real problems in comparison. Jimmy’s character was intriguing and I felt that you developed your characters well. What were some themes you wanted to capture while writing your characters? Probably the most important theme was belonging, finding your place in a family, whether it be a blood family or a substitute family, as long the group accepts you for who and what you are. This applies to both Jimmy, who is looking, and Johnny, who has found. The theme of indifference, from Jimmy’s father, the landlady, the kids on the block right down to the ticket booth woman at the pool, who knew something was wrong but didn’t want to get involved. The theme of misdirection, trying to dissuade someone from their passions into a humdrum robotic existence, such as Jimmy’s mother—although consciously unwittingly from her own development—continued to push upon him. The theme of survival by escaping into a world you can cope with and where no one will enter without your approval. This book explores issues in interesting ways like isolation, relationships, and fears. Was there anything from your own life that you put into the book? A huge part of me went into this book. They say to write about what you know. Who do you know more about than the being you spend twenty-four hours a day with? I learned early to isolate myself from that outside cruel world and escape to my own means of entertainment and survival. In fact, I still have several copies of the Gastruck Kids. My relationship with my parents wasn’t great, but that could be said of most teenagers—of any era. There were many times my relationship with my friends was stronger than that with my parents. But, of course, there was always a home, even though with a lonely room, waiting for you. I have nothing going on at the moment, but I would like to say that My Lonely Room is the prequel to a series of books I had written that began with The Vandals. Most of the characters go on into adulthood in the subsequent Adjuster, National Defense and Auld Lang Syne. They’re all available on Amazon. Life wasn’t so great when you didn’t have much of a relationship with your parents or the ability to play street games while growing up in the fifties. You would rather be secluded in your lonely room, using your imagination to write stories and draw comic books than to be drowned in negativity by your mother or humiliated by your peers. All of this can change for Jimmy Yadenik when he meets Johnny, his soon to be mentor and member of the Vandals, and he applies for membership. But the transition won’t be easy.